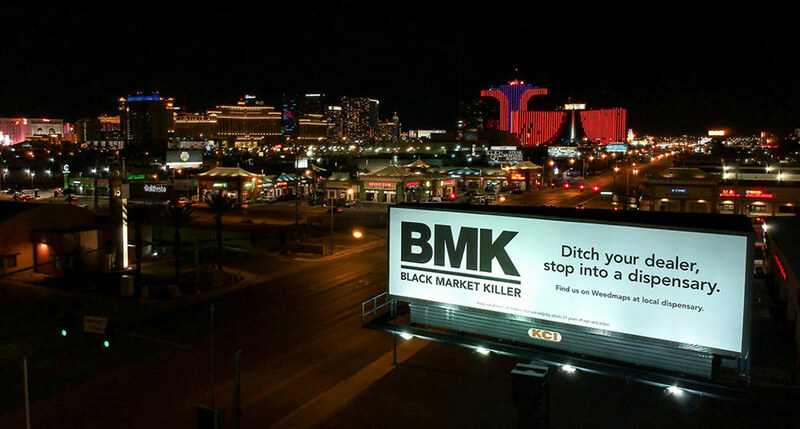 A Las Vegas dispensary aims to convince pot lovers to keep it legal with its new BMK weed. One rationale for legalizing marijuana is that the move will put criminals out of business. After all, if you can walk into a nice, comfortable dispensary with good air conditioning and government-sanctioned weed on display — where you know exactly what you are getting and what the potency of the pot will be — why would you still buy from the sketchy dude who bikes to your house, carries a backpack full of contraband bud and presses you to hear his band’s latest jam? Maybe the customers are already high or in the mood to gamble with their mellow, but many potheads would rather give their money to an illicit dealer than to a licensed operator. A study done in California shows that 18 percent of people surveyed bought black-market marijuana even though they could have bought it legally at a dispensary. Epicurean weed — usually with higher amounts of THC and a more manicured appearance — often goes for twice that price. Source: Can this pot dispensary put illegal dealers out of business?